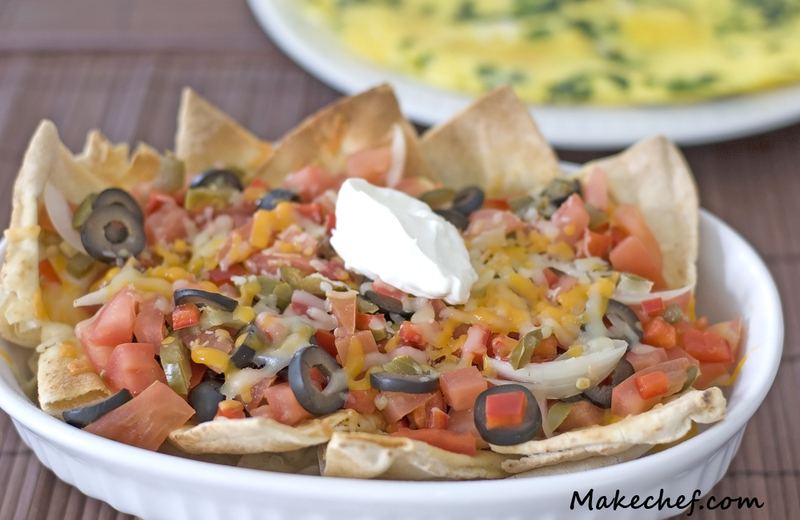 Summary: We love Tex Mex nachos but we wanted to substitute the nachos for pita which is less salty. Preheat oven to 350⁰F. Place rack in the middle position. Cut each pita bread into 8 triangles and place them on a baking tray. Bake for 15 minutes or until crisp. Distribute the pita pieces in a ramekin or any shallow oven safe dish. Sprinkle the cheese, saving 2 tablespoons for topping, over the pita pieces. Bake for 15 minutes at 350 ⁰F, until the cheese has melted. Add the remaining ingredients on top of the melted cheese and sprinkle the rest of the cheese. Optional : serve with a cream cheese and sour cream sauce. 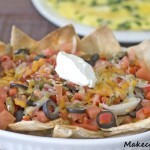 This entry was posted in Appetizers and tagged cheese, pita, tex mex.